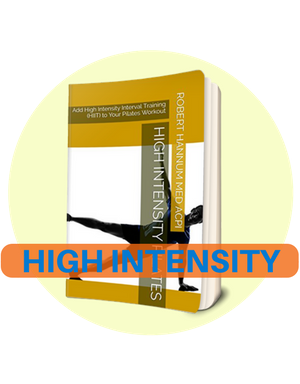 This 70 minute DVD provides an excellent example of the early years of Pilates exercise and of the teaching style of Joe and Clara. We also see Ted Shawn, the early pioneer of modern dance, who recognized the importance of Pilates exercise. Joe Pilates is shown teaching both group and individual lessons in his New York studio as well as at Jacob’s Pillow where he taught for many summers. So influential is Joseph Pilates to the dance world that he is honored as a founding member of Jacob’s Pillow, the world-renown dance school and summer performance festival. In the 1930’s Pilates exercise had a more gymnastic look. Joe and Clara refined it over the years. This is a fascinating and rare look at a true master in action! To view samples of this DVD click here. At the opening of Mary Bowen’s gym, a long time personal friend of Joe and Clara Pilates, Evelyn de la Tour, gave Mary a gift. Joe and Clara had bequeathed to Evelyn reels of their private film collection taken over a 13-year period between 1932 and 1945. Evelyn in turn bequeathed the films to Mary – 2 large boxes of old reels. These reels were edited into this DVD. The DVD is $64 (shipping & handling included) in the US, and $67 outside the US. To order click the button below. This 42 minute documents the life of the famous dancer and teacher Eve Gentry including her early years in ballet, her modern dance years, her deep ties to Joseph and Clara Pilates, and her development of the Gentry Technique – another interpretation of Pilates exercise. Mary Bowen describes Joe Pilates’ work with Eve as nothing short of miraculous, bringing her back to strength and vitality after her mastectomy. Eve became one of the most influential Pilates teachers. Her legacy is now carried on by a school of Pilates known as Core Dynamics. $65. This is an excellent documentary DVD covering the philosophy, lifestyle and growth of Pilates exercise told by ‘Pilates Elders’ and other students of Pilates whose lives have been deeply transformed by this exercise method. Only $29. This 1 hour and 54 minute DVD is a marvelous view of Pilates exercise through the eyes of one of Joe’s most respected students, Carola Trier. She was the first teacher to open a studio of her own with the blessings of Joe. This is a 2-day workshop taught by Carola in California in 1989. $50.